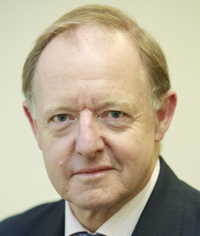 We had a very interesting conversation with Sir Roderic Lyne, former UK Ambassador to Russia (2000-2004), on what the future holds for Putin and Russia. In his view, low gas prices and the likelihood of world over-supply of oil (due to large new discoveries of shale and offshore gas, particularly in the US and Canada) are a real threat to Russia’s prospects and Putin’s hold on power. As he says, “the crunch probably won’t be next year, but it’s on the way”.